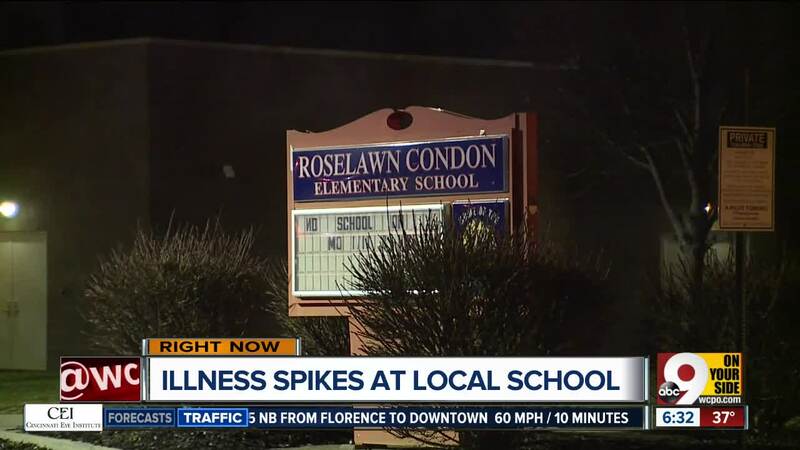 CINCINNATI — Seventeen staffers and 140 students called in sick Wednesday to Roselawn Condon School, where Cincinnati Public Schools spokesperson Lauren Worley said a flu-like illness had been circulating. In light of the outbreak, the STEM-focused magnet school closed its special education units and encouraged medically fragile students to stay home. Worley added the district was working with the Cincinnati Health Department to determine the nature of the sickness, which she said was not influenza. Health Commissioner Melba Moore described symptoms including fever, coughs, headaches and vomiting in a letter to parents. She also reminded parents to keep their children home from school if they had vomited or shown a fever of more than 100 degrees Fahrenheit within the last 24 hours. Worley said the school district completed a touch-point cleaning of the school. Tissues and hand sanitizers were placed in all classrooms.